Sonic Super Ear Plus Hearing Enhancer from HealthyKin.com is ideal for the slightly to moderately hearing impaired person. The SuperEar Plus is perfect for watching TV or getting the most from the theater, meetings, lectures, worship services or simple conversations. 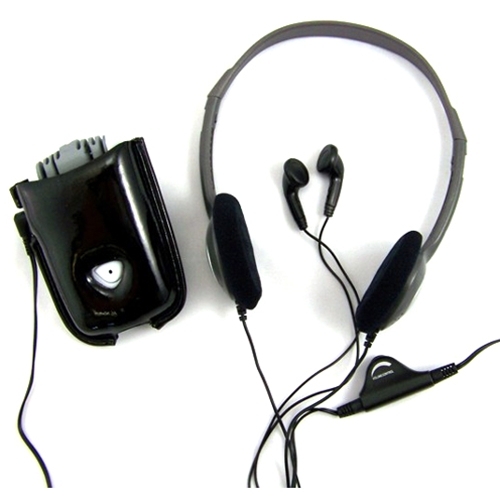 As an Assistive Listening Device, the SuperEar Plus is also ADA compliant. Newly re-designed microphone and carrying case help eliminate annoying case noise caused by handling. 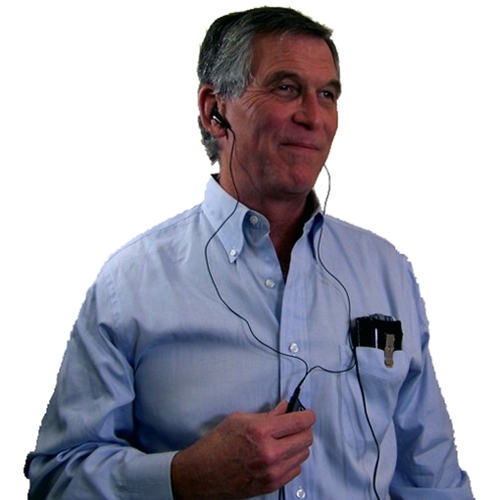 Laboratory tested to hearing aid standards, the SuperEar Plus increases ambient sound gain by more than 50 decibels and picks up sounds from up to 100 yards away using a highly sensitive microphone. Stylish design weighs just 3 ounces, measures 3.5"x 2" x .75" and fits easily into pocket or purse. My father was in the hospital and one of the doctors had the Sonic Ear Hearing Enhancer and my dad used it and liked it so I went online and purchased the Sonic Plus. It is a very good and has helped my father in knowing what people are saying to him. Great Product. I purchased the Sonic Super Ear Plus Hearing Enhancer to keep from turning the TV up so loud and hoping to get rid of the rustling noise of the cable. I found the volume to be fine, no problem there but the fidelity or richness of the sound is lacking. It sounds like a toy. we got it for my 96 year old father who would not be able to handle or maintain hearing aids. it works well. the only suggestion i have is that it would better for my dad if the ear buds had hooks to go over his ears to help hold them in place. he has a little trouble keeping the head phones in place. like i said he's 96 years old. i am thinking of taping them to his ears. getting him to use them is still a problem, but they work very well!